What do u guys think? I’m still not sure whether I need to add a wee mouth or not? First of all I cut out a template of the koala bear and pinned the paper onto the felt. U could draw anything onto a piece of paper, even something crazy. I might do a donut next. I then cut around the paper on the felt. 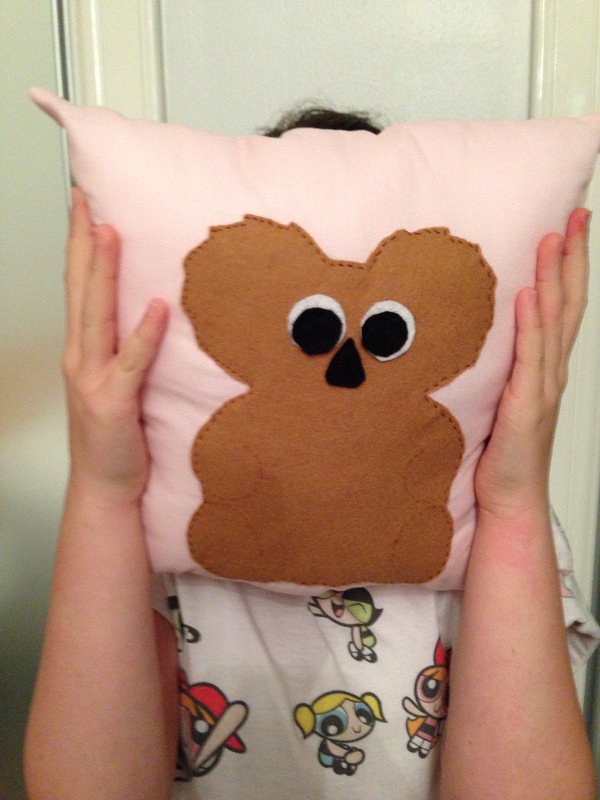 I placed the koala shaped felt onto one piece of square cotton material and sewed it on. This is called applique. I used small stitches to add the detail for the arms etc. 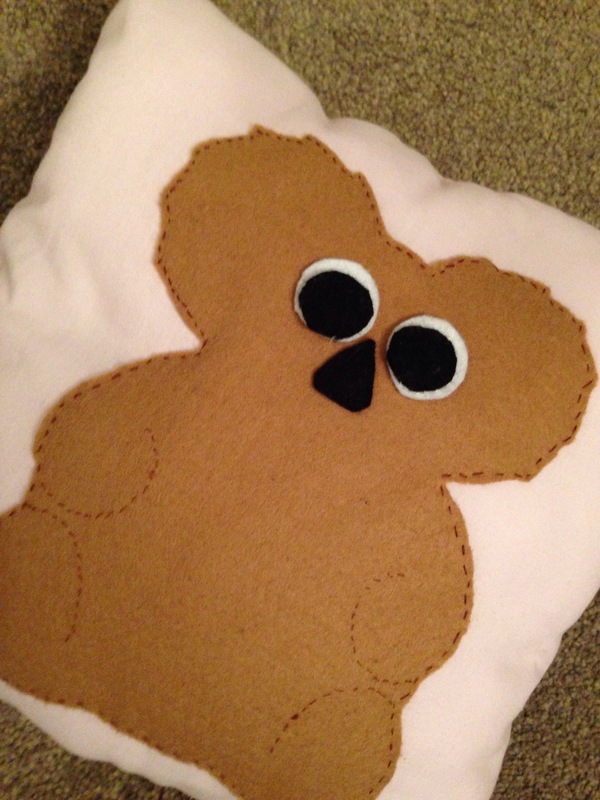 I then cut out circular pieces of felt for the eyes and triangle for the nose and sewed them on. Once stuffed, sew the gap closed . Hope this makes sense, sorry I didn’t take any photos of the process, was too busy enjoying sewing. I won the Plushie competition !!!! I entered a competition about a month ago I think and it was to draw a picture that would be made into a plushie. So I decided as I absolutely adore anything Kawaii I would try and do something like that. 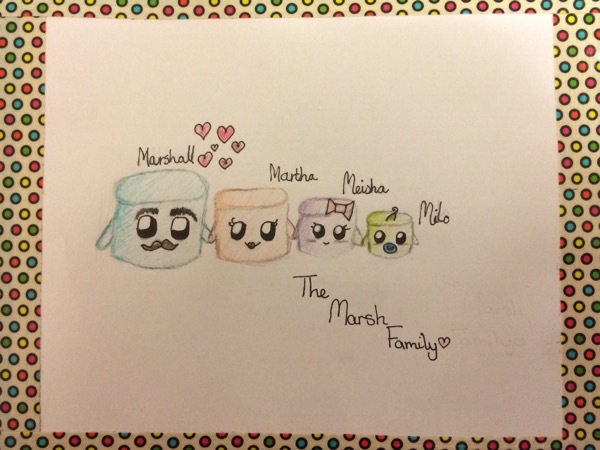 I’m so excited as now my drawing will be made into Plushies !! How exciting is that ! Unfortunately I wont get them sent to me but Amy will post a tutorial on how to make it and I cant wait to try. It will help me practice my sewing. Couldnt figure out how to reblog from her site so had to capture the image. Silly me 😜 thanks so much to Amy for her fab competition. I really enjoyed entering it. Hope u r all having a great day whatever u r up to. hiya! It’s my favourite time of the week because I love making Snazzy Sunday!! Today I’m going to be showing you guys all the arty stuff I’ve been doing the last couple of days. 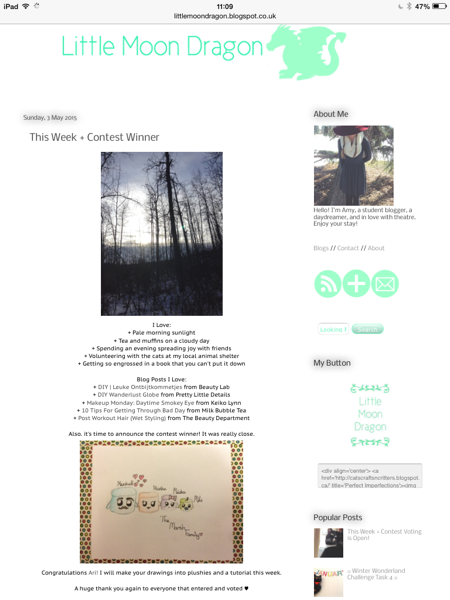 But before all that voting for my competition entry at http://www.littlemoondragon.blogspot.com is now open. So go and check it out. I would be very grateful if u liked my entry enough to vote for me. The other entries are fab too. !! So now to my crafts. I have decided to ask you all to vote for your favourite one! So once you’ve finished reading this and have decided what one you will choose go over to the comments and put ” I vote for 1,2,3 or 4 … All of the things will be numbered, I can’t wait to see what you think of these things! So without further ado here you go! To get this awesome effect you basically overlap the stickers filling the spaces on the front cover. Once the page was full, I then added the embellishments. Its was so easy !! We have these really cool milk bottles at home that I decided to decorate with Washi tape. I love drinking my milk and eating a cookie with this !! Using Washi tape again, I made this cool bracelet. I used a strip of paper and wound strips of different Washi tape around it. I then used a hole punch to punch a hole at each end and then put a piece of wool through the holes so I can tie it round my wrist. You need felt, a marker to draw the shape u want, scissors, need to be quite sharp, thread, buttons for eyes, ribbon for collar and stuffing to fill her. U could make her any colour you want, any design really. It would also look cool if u make mini animals and then you can have ur very own family!